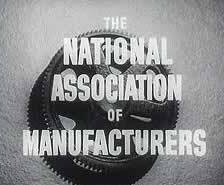 An early example of this mobilisation to achieve political goals was the National Association of Manufacturers (NAM), the leading US business organisation in the earlier part of the 20th century. It was of the first general business coalitions to take advantage of the new public relations methods and use them to gain political power. Reference: ‘Violations of Free Speech and Rights of Labor’, Senate Committee on Education and Labour, 14 August 1939, pp. 208-9. NAM had been formed in 1895 to promote foreign trade but in 1903 it shifted its focus to opposing labour unions and defending the right of employers to establish work conditions, fire employees at will, and set wages without interference from unions or government. 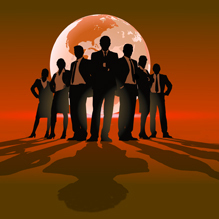 It was opposed to any government intervention in the management of business. It lobbied against government legislation that aimed to help workers; disseminated anti-union propaganda; and sought to influence the outcomes of local elections to prevent pro-labour candidates being elected. Reference: American Federation of Labor, ‘National Association of Manufacturers Exposed: Revelations of Senate Lobby Investigation’, Washington, DC, American Federation of Labor 1913, pp. 20, 23. Reference: American Federation of Labor, ‘National Association of Manufacturers Exposed: Revelations of Senate Lobby Investigation’, Washington, DC, American Federation of Labor 1913, p. 209.
distributed large amounts of propaganda to schools, colleges and civic organizations. Reference: Quoted in American Federation of Labor, ‘National Association of Manufacturers Exposed: Revelations of Senate Lobby Investigation’, Washington, DC, American Federation of Labor 1913, p. 18. The correspondence between officials and employees of the association laid before your committee and placed in evidence shows it to have been an organization having purposes and aspirations along industrial, commercial, legislative, and other lines so vast and far-reaching as to excite at once admiration and fear—admiration for the genius which conceived them, and fear for the ultimate effects which the successful accomplishments of all these ambitions might have on a government such as ours. Reference: Sharon Beder, Power Play: The Fight to Control the World's Electricity, Melbourne and New York, Scribe Publications and the New Press, 2003; Karl Schriftgiesser, The Lobbyists: The Art and Business of Influencing Lawmakers, Boston, Little, Brown & Co, 1951, p. 59; Carl D. Thompson, Confessions of the Power Trust, New York, E. P. Dutton & Co., 1932, p. 270. The private utility companies in the US also conspired to subvert democratic demands for public control through political manoeuvering, financial strategies, and propaganda campaigns. During the 1920s they set aside their differences and formed coalitions and networks to coordinate a major campaign aimed at securing private ownership and minimal government regulation of essential public services. They sought ‘to educate the American public about the dangers to the American Way of Life that would come if the utilities were ever allowed to slip from private enterprise to public control.’ And in the words of one of the industry’s own representatives, they did ‘much to change and direct the economic thought and economic practice of the American people’. Reference: Quoted in Alan R. Raucher, Public Relations and Business 1900 -1929, Baltimore, The John Hopkins Press, 1968, p. 66. Reference: Strother Holland Walker and Paul Sklar, 1938, Business Finds Its Voice: Management's Effort to Sell the Business Idea to the Public, New York and London, Harper & Brothers, 1938, p. 3. 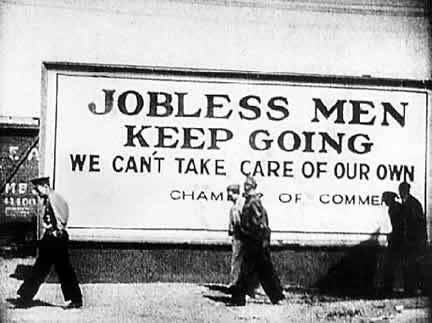 Many of the gains made by business interests during the 1920s through their use of PR were lost during the Great Depression when tens of millions of people lost their jobs and few could afford the goods and services that utilities and manufacturers could provide. This time, however, it was not just individual corporations and industries that were under attack from public opinion and threats of government regulation, but the entire capitalist system was being called into question by an increasing number of people. Confidence in the ability of unregulated capitalism to provide for the social good reached an all time low and was replaced by a ‘profound distrust of business… as trustee of the national economy’. Reference: Alex Carey, Taking the Risk out of Democracy, ed. Andrew Lohrey, Sydney, UNSW Press, 1995, p. 79.
Business responded with a coordinated nationwide PR effort to promote the capitalist system and the values of free-enterprise. Trade and industry associations formed and coordinated these PR efforts. For the first time public relations, business coalitions and free market ideology were combined, in this case to defend corporate power from democratic power. Following the war the same combination was used to fight union power as well as democratic power.